In one of the biggest events ever of its kind, Ritchie Bros.' GovPlanet marketplace is set to sell more than 10,000 military surplus items in just two days. Humvees, tactical vehicles, construction equipment, uniforms, field gear, industrial and commercial equipment and more will all be available to be purchased by the general public on Dec. 7 – 8, much of it selling without reserves. Due to the sheer volume of assets, the company will be selling items via multiple auction events and formats. All Humvees, tactical vehicles, construction equipment, food service equipment, storage containers, air conditioning and heating equipment and various other industrial equipment will be sold via two simultaneous, live unreserved auctions at Ritchie Bros.' permanent auction sites in Las Vegas, Nev., and Atlanta, Ga., on Dec. 7 – 8. Meanwhile, uniforms, field gear and thousands of other items will be sold online via GovPlanet.com over the two days. "This unprecedented sales event showcases the operational strength and depth of the Ritchie Bros. organization by leveraging the power and broad reach of our multiple selling platforms," said Doug Feick, senior vice president, New Business and Corporate Development, Ritchie Bros./GovPlanet. "Combining our web platforms and our auction network with our operational excellence and marketing prowess, we will sell a staggering amount of inventory stored across multiple Ritchie Bros. auction sites, GovPlanet storage yards and warehouses, in one massive well-coordinated event." GovPlanet, a Ritchie Bros. solution, was launched in 2014 to address the specialized equipment disposition needs of public entities, from federal, including military, to state, local and municipal. Each week, on average, GovPlanet draws close to 90,000 attendees to its online auctions. Items go into preview two weeks in advance and bidders can view photos, video and inspection reports. 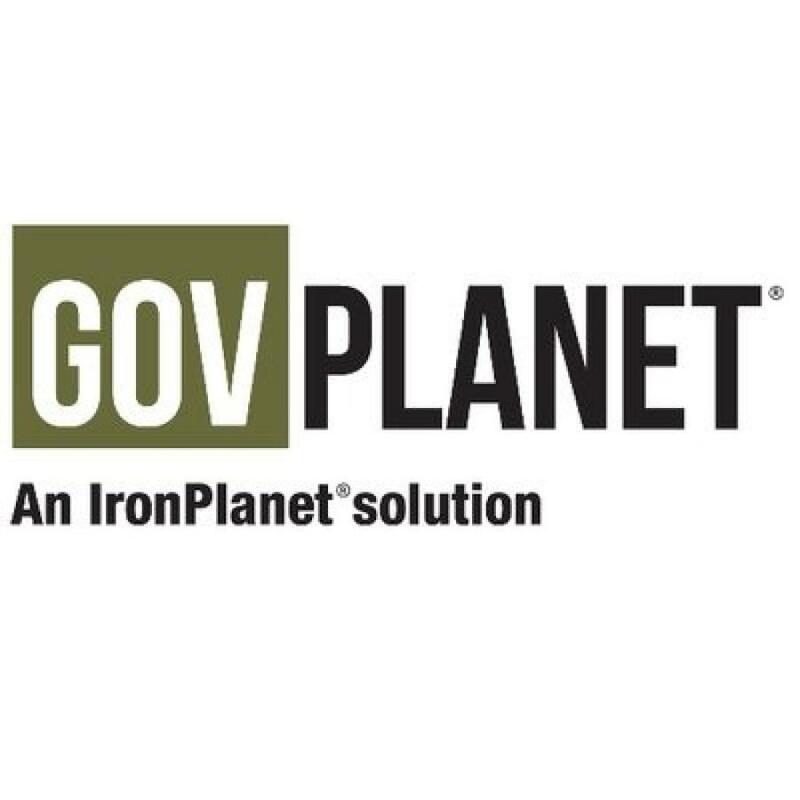 All items sold on GovPlanet have been inspected and come with IronPlanet's exclusive IronClad Assurance equipment condition certifications, which give bidders the confidence to buy online from anywhere in the world.